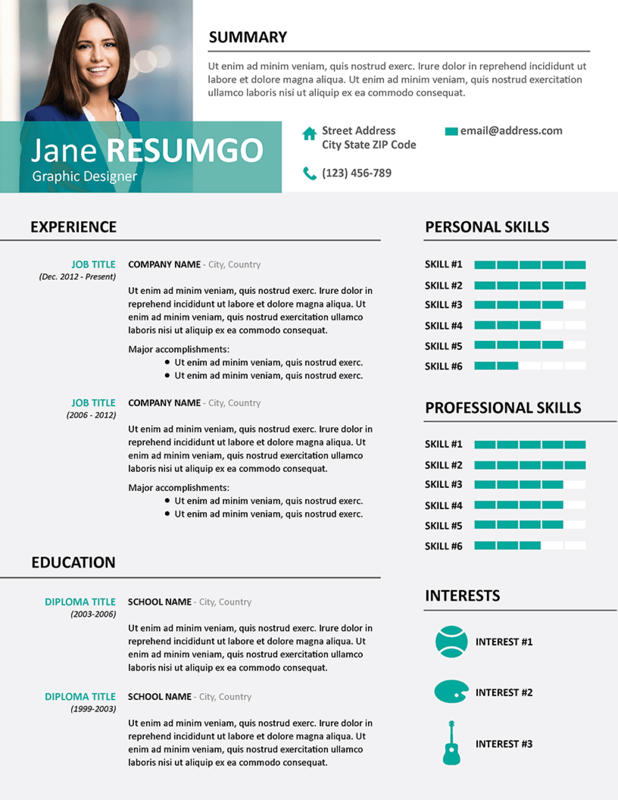 Alecta is a free professional resume template, with a white top banner and gray background. 2-column structure layout. Teal green colors. The top horizontal banner subtly highlights your profile/objectives. The left/main column clearly presents your professional experience and education part, while the right part shows off your skill levels through an equalizer chart.